A first commercial project is rumoured to be announced shortly! The project will be developed in Japan and is believed to be in the 250-500MW range capacity. The 11 Spar Toda project is still slated for 2020/21. Only days after the conference it was announced that Japan has approved a bill for development of offshore wind zones to be auctioned as early as spring 2019. Ideol and Chantiers de l’Atlantique showed impressive progress with floating substations. A 600MW substation carried by an Ideol Damping Pool is a sound, ready-for-market solution. Its low draft allows application in waters 30 meters and greater, which makes the system competitive in fixed wind parks as well. Lloyd’s Register’s Mark Spring illustratively declared most current technology as ‘old,’ making the point we need to stop extrapolating and upgrading old technology in favour of innovation and new developments. We need better vision on the industry’s future requirements and must develop towards those goals. BVGA discussed an LCoE study on cost reductions for Spar and Semisub floaters from different angles. Several fixed methods could benefit floating and the speaker visually demonstrated the expected economies of scale. Questions in the audience pointed out it is a shame the study was capped at 200m water depth, because the largest wind resources and hence largest potential projects are deeper that. Bruno Geschier addressed the group on behalf of the WindEurope Floating Wind Task Force and made a case to stop going left and right with subsidising R&D projects, as the financial community will not consider this a mature industry approach. We need clear focusses and policies. In the same session, the point was made that LCoE-competition between Bottom Fixed and Floating is not really relevant. Each project will be judged on its own economic merits. Honestly, that does make sense. Spanish designer Saitec is looking at placing a demonstrator of its hybrid floater in the Bay of Biscay offshore Bilbao in 2021. By the sound of it, none of the French pre-commercial projects will make it online earlier than 2021. The Kincardine project has shown a capacity factor of 65% in its first two months of operation, similar to that of the Hywind Scotland project nearby. KOWL is hopeful to achieve full UK Renewable Obligation Certificate (ROC) which is essential for the financing of the next project tranche of units. 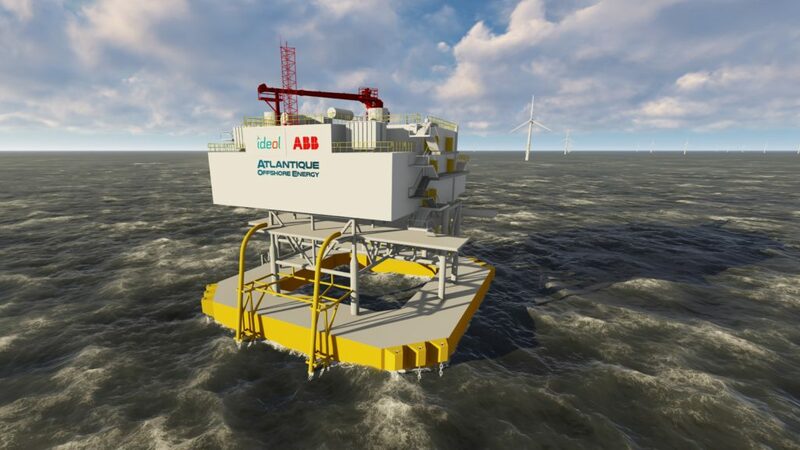 An impressive video was shown in the session break on the offshore installation by Bourbon and Vryhof. It seemed to be making floating wind more tangible for some in the audience.